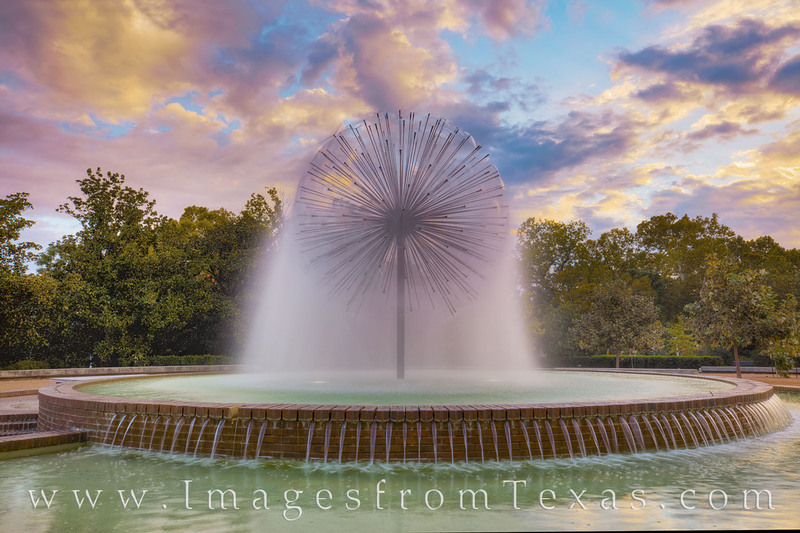 The Dandelion Fountain, formally knows as the Wortham Memorial Fountain, keeps the water flowing on a cool November morning just after sunrise. This fountain sits alongside Allen Parkway near Buffalo Bayou. Photo © copyright by Rob Greebon.